Join Founder Nicole Buffong and the Cannabis Connection World community at our upcoming live and virtual events! Saturday September 29, 2018. Join CCW Founder Nicole Buffong at the Cannabis Awareness Panel at the Beloved Community Church of Atlanta. Meet Cannabis Experts and learn how medical cannabis can make a difference for you. Tuesday September 18, 2018. Join CCW Founder Nicole Buffong at the Joint Study Committee on Low THC Medical Oil Access, hosted at the University of West Georgia in Carrollton, GA @ 1pm. Check out the Mary Jane Connectors Facebook page for live stream. Wednesday September 19, 2018. 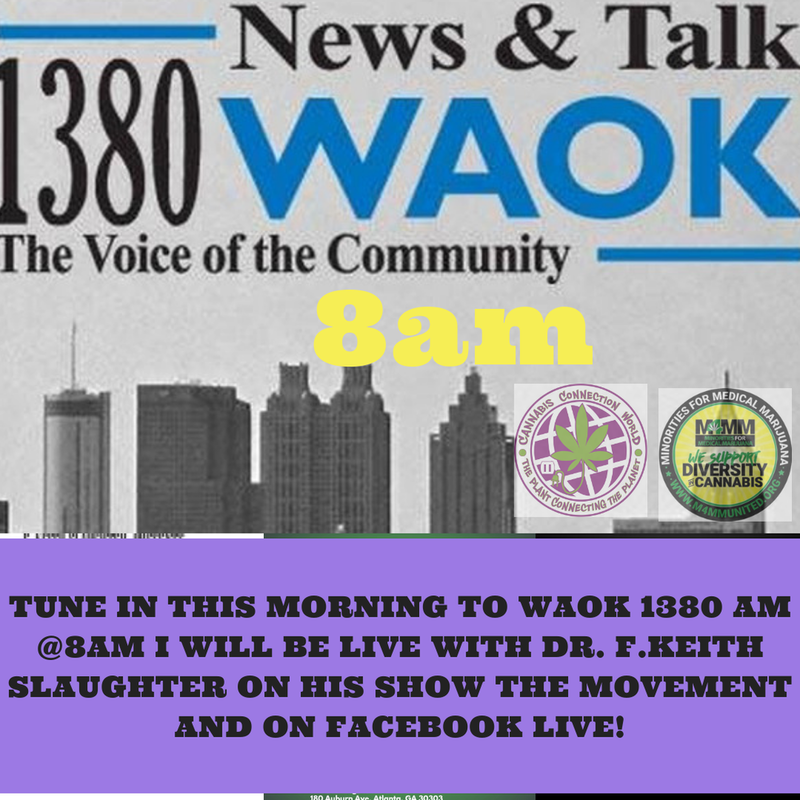 CCW Founder Nicole Buffong will be a guest on 1340 AM WAOK’s Dr. F.Keith Slaughter morning show. At 8am. The interview will also be streamed on FB live! Wed. Sept. 29: Patients, parents and organizations on either side of the medical cannabis oil debate will be the first to testify for a legislative study committee in Atlanta. The meeting begins at 1pm and is scheduled to go until 3:30pm. CCW Founder Nicole Buffong will testify; other patients are invited to come and give their testimony. Cannabis Connection World understands the importance of sharing our stories with legislators, who will use this research to determine how the state moves forward in finding solutions for patients in Georgia to have safe access to the medicine they need.